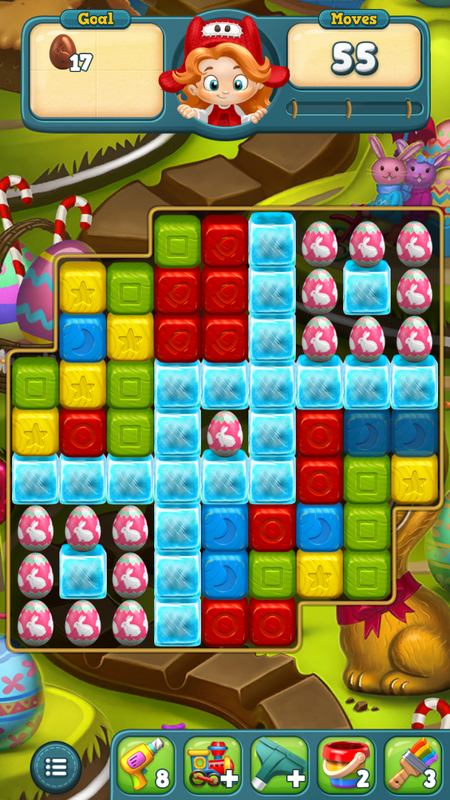 This level is especially hard because you need to have less than two moves per anchor that you need to clear. 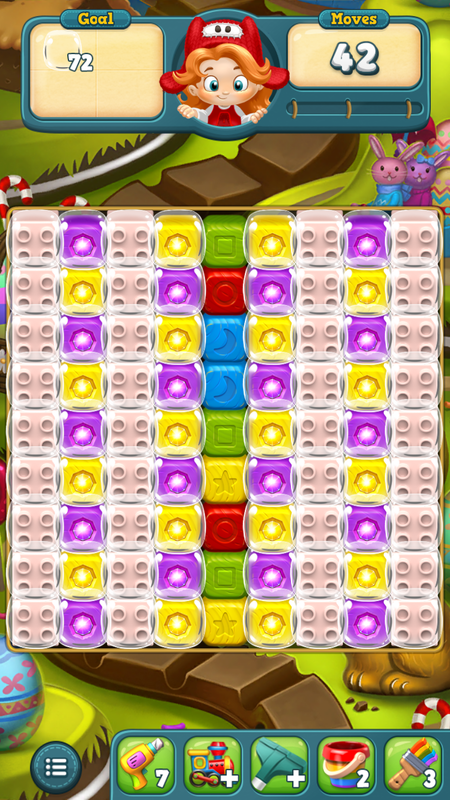 You need to connect squares, but you need to clear ALL of the clear dots underneath anchors whenever clearing squares. 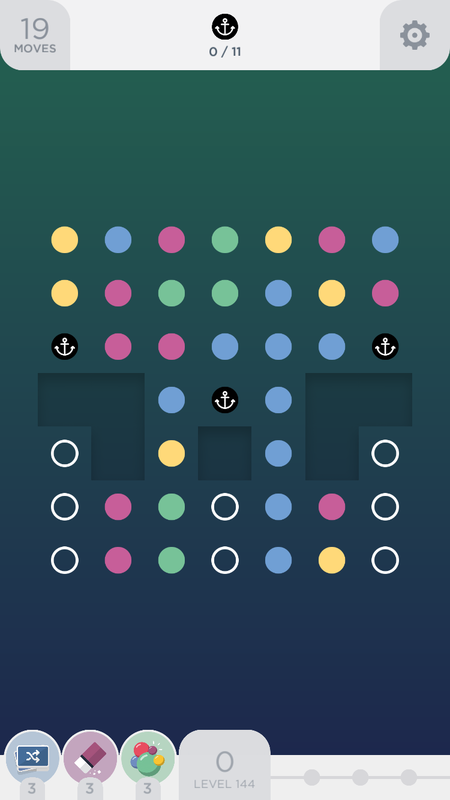 So, on the left, start at the top of the clear dots and go to the bottom and then loop back for the square. You can clear the board without any boosts if you keep the clear dots our from under the anchors and clear squares in the same moves. Make torpedoes in different columns from the top down and activate horizontal ones or pair them to get horizontal clears. It’s pretty easy to get stuck in situation where you’re clearing the same area repeatedly, so think ahead on this level because the moves go by quickly. 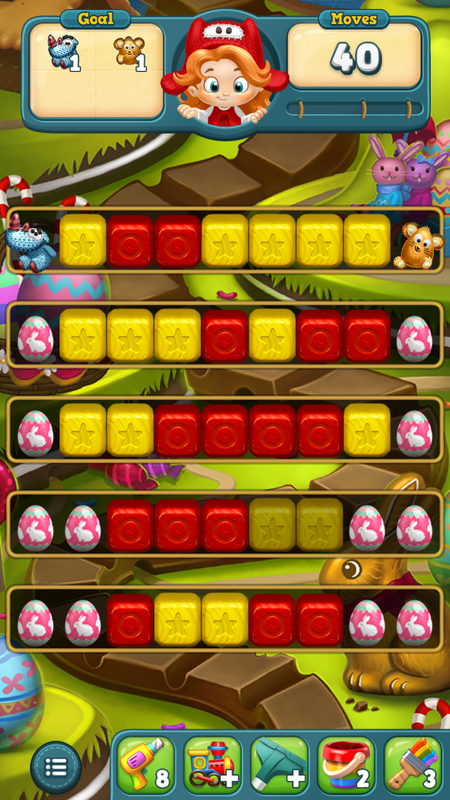 Start with moves up top that clear the most blocks/eggs at a time. Hopefully you can get a horizontal torpedo to clear the bricks. Always be pairing them if you can’t get one going in the right direction. 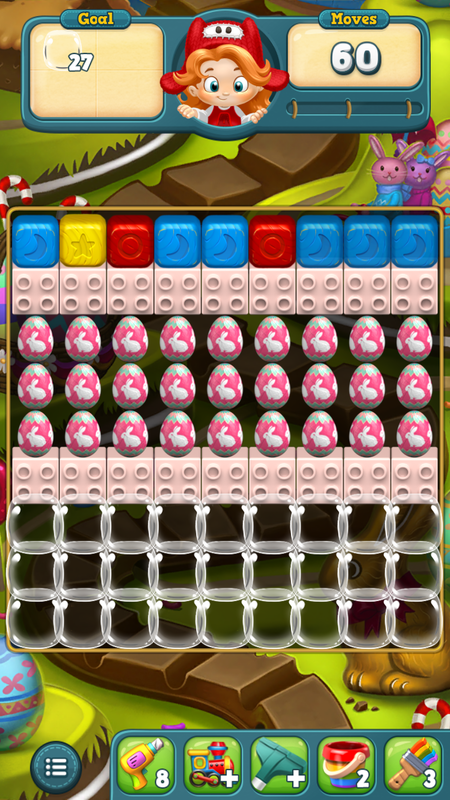 You have 27 eggs to clear and 18 bricks even before you get to the bottom. The wider the swath you can clear, the better. Clear from the middle out and top down and make a cube powerup out of blocks that don’t change. You’ll be working on making two that combine to clear the board, so don’t mess up a second in progress as you’re making the first. After the full board clearing, you’ll still need to clear some bubbles. Hold out for cube + torpedoes and you should be good. I didn’t have any luck with simpler strategies on this level.